In fact, the new tablets are so versatile, that he literally milks a goat for his cereal while, we assume, he’s playing Goat Simulator on the Yoga Tablet 2. The couple of ads are fun to watch and there’s also a separate video detailing the brainstorming process that went behind the Yoga Tablet 2 Pro. 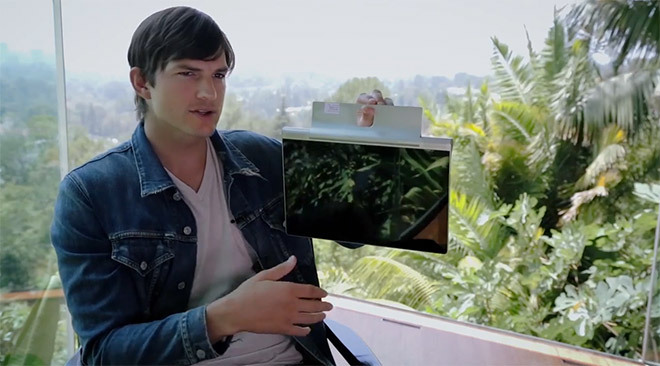 And finally, check out how Kutcher explains the birth of the Yoga Tablet 2 Pro. We don’t know if his passion for the products is real or he’s just that good of an actor. We tend to agree on the former.